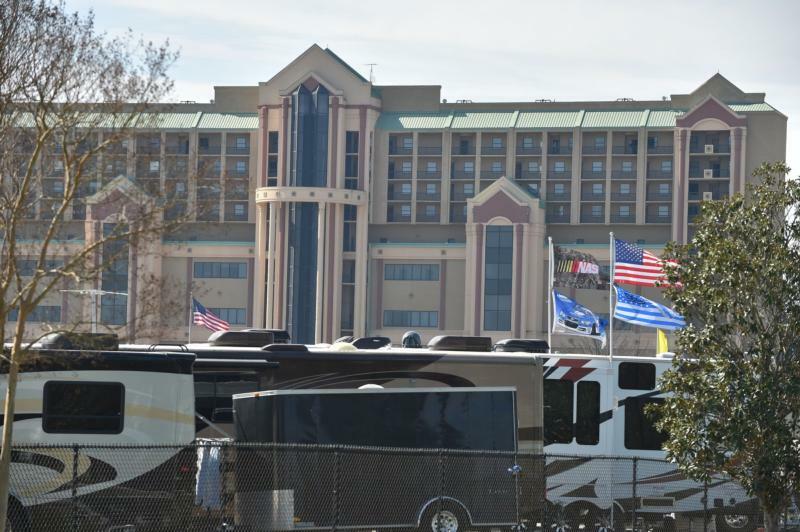 Atlanta Motor Speedway will open its Premiere Campground for a week as people travel to the Atlanta area for the big game on February 3. The Speedway's Premiere Campground, located about 25 miles south of Atlanta, will be open between Wednesday, January 30, and Wednesday, February 6. For $50 per night, or $300 for the entire week, campers will have access to asphalt camping spaces with electric, water, and sewer hookups located within a short drive of downtown Atlanta. Atlanta Motor Speedway's Premiere Campground is one part of the Speedway's vast camping areas which host thousands of campers during NASCAR’s annual stop in Georgia. This year’s Folds of Honor QuikTrip 500 NASCAR weekend at AMS is Feb. 22-24. Those interested in using the Speedway’s camping facilities during either the big game week from Jan. 30-Feb. 6 or the Folds of Honor QuikTrip 500 NASCAR weekend on Feb. 22-24 should visit the ticket office/gift store building at Atlanta Motor Speedway, call 770-946-4211, or visit www.atlantamotorspeedway.com for more information.